Somizi Mhlongo with his fiance Mohale Motaung. 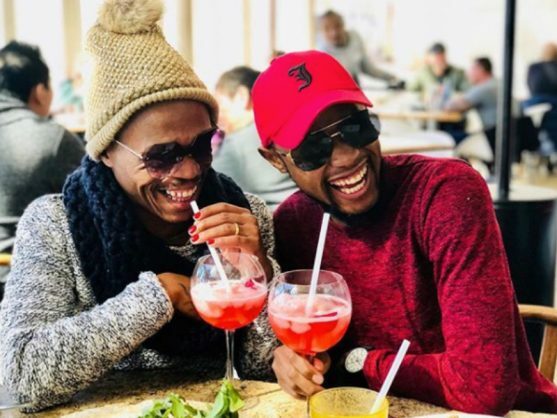 Somizi “stooped to a level of a pig” over the weekend and addressed false reports about his wedding plans with longtime-bae Mohale. In a series of videos on Instagram, Somizi slammed reports that his wedding had been called off or postponed due to financial problems. He said any report regarding his wedding was wrong because his fiance and him had not even started planning for the big day, further slamming reports that Mzansi Magic had offered the couple R3 million for broadcasting rights of their wedding. The wedding is, however, not final for the couple as they could decide to only sign at home affairs. “Because of the personality that I am and the stature of our personalities, people are excited about this amazing wedding. Nami I do want an amazing wedding but I might wake up one day and think let me go and sign and rather buy a house,” said Somgaga.